Doug Ford’s supporters on Twitter are calling on him to “Make Ontario Great Again,” but the candidate for the leadership of the Progressive Conservative Party is laughing off the idea of adopting Donald Trump’s catchphrase as a campaign slogan and rejecting any comparisons to the U.S president. “No, I haven’t seen that one. 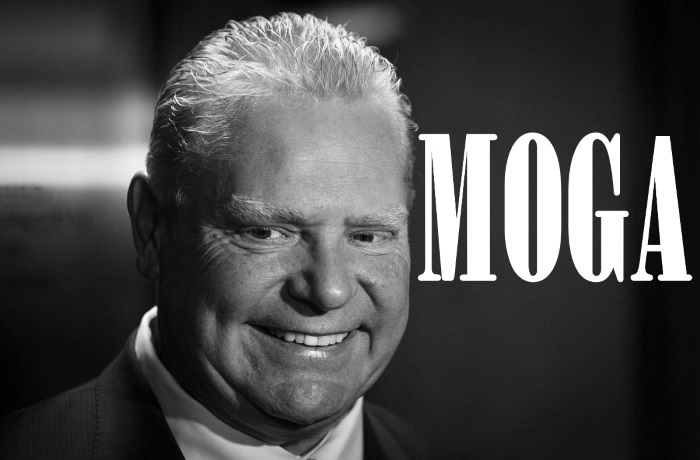 That’s a good one,” Ford told CBC News and Radio-Canada reporters Tuesday when asked about the hashtag #MOGA circulating on Twitter. “That’s funny,” he said with a big chuckle during an interview in his office at Deco Labels, the family business. Thank you @JesseBWatters and @DBongino! This is ridiculous. AG Barr gives Democrats unprecedented accommodations, and they refuse them hours after Chairman Nadler subpoenas those same answers. They’ve had 30 hours with the #MuellerReport and realize the more information they actually get, the more bitter it tastes. Good night of television! 8:00 PM @WattersWorld 9:00 PM @JudgeJeanine with interview of @RudyGiuliani followed by Greg G. Honest commentary is always nice! Check out @MarkLevinShow: Life, Liberty & Levin on @FoxNews now (7pm)!